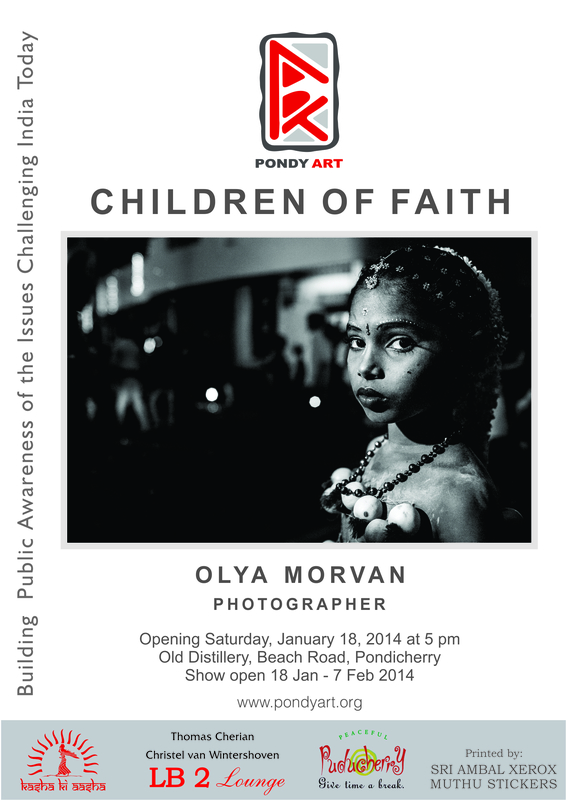 Olya Morvan will also speak to the public on “THE CHALLENGED…” Women Behind the Lens at 7:30 pm at Kasha Ki Aasha, 23 rue Surcouf, Pondicherry. This event is free and open to the public, but space is limited, so come early! Children are vessels into which the adults around them pour many things, including religious beliefs. These families are doing what they feel is best for their children, no matter which background they are coming from. And thus I do not judge but only record. These images are photographed at festivals, shrines, temples and churches across India and show children involved in Christian, Muslim,…… rituals. But although the rituals and beliefs behind them may be different (and in my mind sometimes difficult to understand), the goals for the families are similar – to save these innocent souls. Olya, currently based in Chennai, has worked closely with Yannick Cormier, Documentary Photographer. 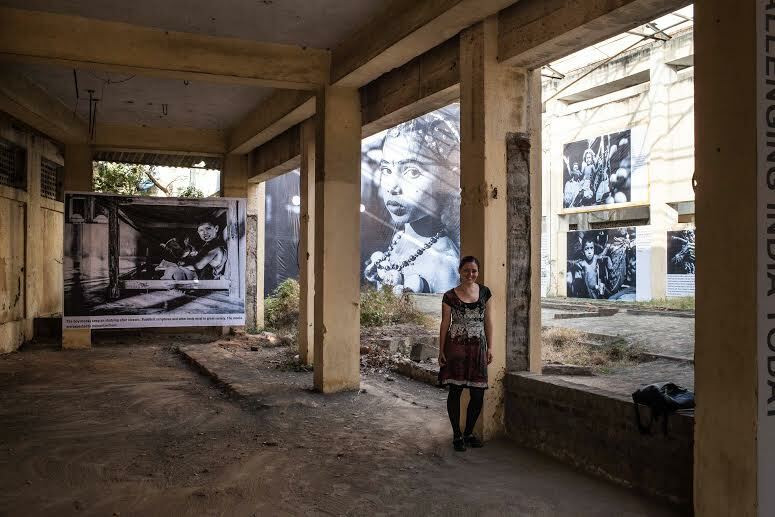 Over the past year she has concentrated on enhancing her sense of composition and improving her technical skills through her projects focusing on the Metro of Chennai, the festivals in Kovagam, TN and on the Buddhist Monks in and around Ladakh, Jammu and Kashmir. In a more intimate portrait of humanity, Olya followed Minnal, a homeless woman, to tell her story with all its dignity, joy and sadness. As Olya continues her travels through Asia, she returns regularly to her native country of Ukraine to record the trials and triumphs of the anti-government protesters in her hometown. Pingback: Kasha Vande, on perseverance and intentional change. | innovators.